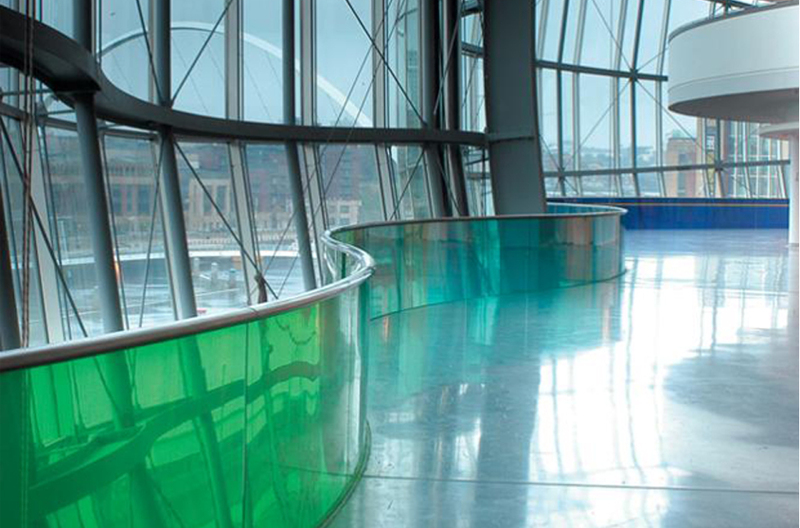 Ribbon of Colour' runs along the concourse and interior of The Sage music centre Gateshead, overlooking the River Tyne. Measuring 100m in length the undulating glass balustrade is made up of 51 colourful panels. My role was to develop an invited design competition for artists to engage with Fosters Architects and develop a striking and functional work within the buildings main public space.